When submitting a printing quote request, in a perfect world, the print buyer would have all of the details for their print project at their fingertips. Then, they would submit this information to their printer in a clear and organized format leaving ample time for the printer to work up the quote. 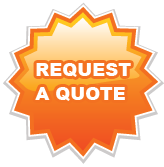 The printer would then proceed to put together an accurate and detailed price quote for the job in a timely manner.